The countdown to the first event of the 2019 Longines Global Champions Tour and GCL is on as top riders and teams get ready for the high octane season opener. The stars of show jumping will be heading to Qatar for the all-important first leg which takes place at the world class AL SHAQAB equestrian centre in the capital city Doha from 28th February to 2nd March. Once again the soaring architecture of the arena will be a magnificent backdrop to top-level show jumping with the first Longines Global Champions Tour of the season taking place on Saturday 2nd March with all the action from the competition broadcast on GCTV live streaming. And the first GCL showdown of the year gets underway with teams already selecting their key combinations to get valuable early points on the scoreboard. Team managers will be strategising with riders and owners to field the best pairings for the sand arena in Doha which is a sizeable 120m x 80m where the action takes place under floodlights. 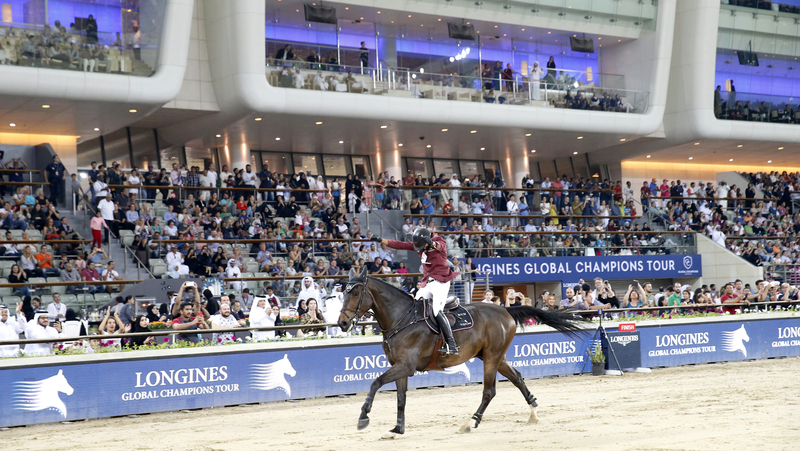 Only a few months ago AL SHAQAB, a member of Qatar Foundation, hosted the final of the 2018 regular season to an enthusiastic crowd who filled the main grandstand and the popular cafes on the concourse lining the arena.